Just when you thought space was the final frontier, comes an expedition of converse proportions. Mission Inconspicuous is a ground breaking research project conducted by advanced sea creatures on a mission to discover if there is intelligent life in the above water world. Like deep sea divers, the Aquasapiens seek to answer questions that for many years have remained a mystery. In disguise, they work their way through the crowds sampling and analysing the meaning of human life as we know it. This flexible work is suitable for any festival, outdoor event or venue with high ceilings. Running Time is approximately 40 minutes per performance. Aquasapiens is a flexible format performance piece that can be presented with varying components, allowing us to tailor the scale of the show to suit your spatial and budgetary requirements. 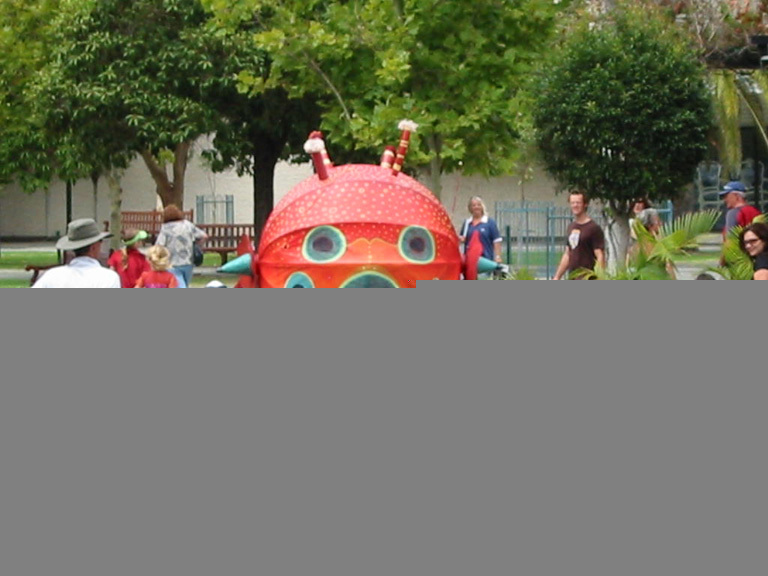 It is possible to purchase anything from a scaled-down version with only one performer through to a full performance using 3 large scale puppets, a water-spraying pod and Bruce, the Aquasapien hunting extraordinaire. Costs include 2 performances of 40 minutes in length, with a break of 1.5 hours between each show. A minder and a stage manager must accompany all performances. 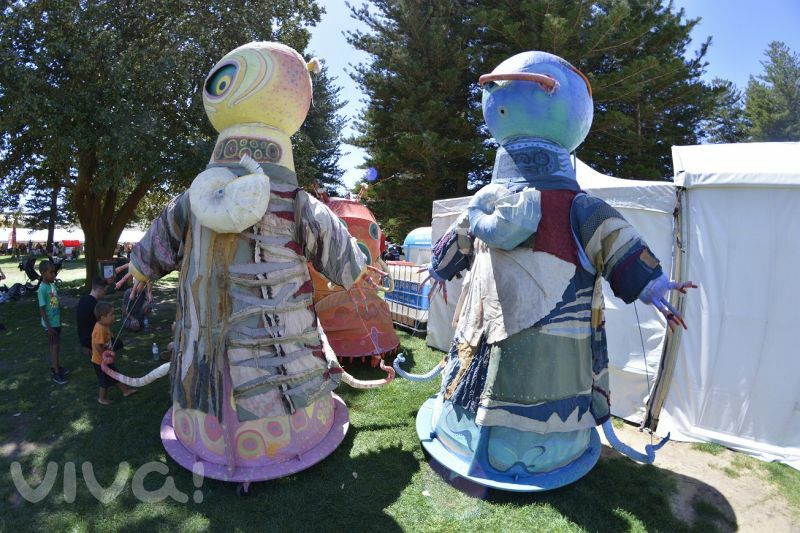 In 2005, The Perth International Arts Festival (PIAF) commissioned Spare Parts Puppet Theatre to develop a large-scale outdoor performance work, in collaboration with author and illustrator Shaun Tan (The Lost Thing, The Red Tree, The Arrival, Rabbits). 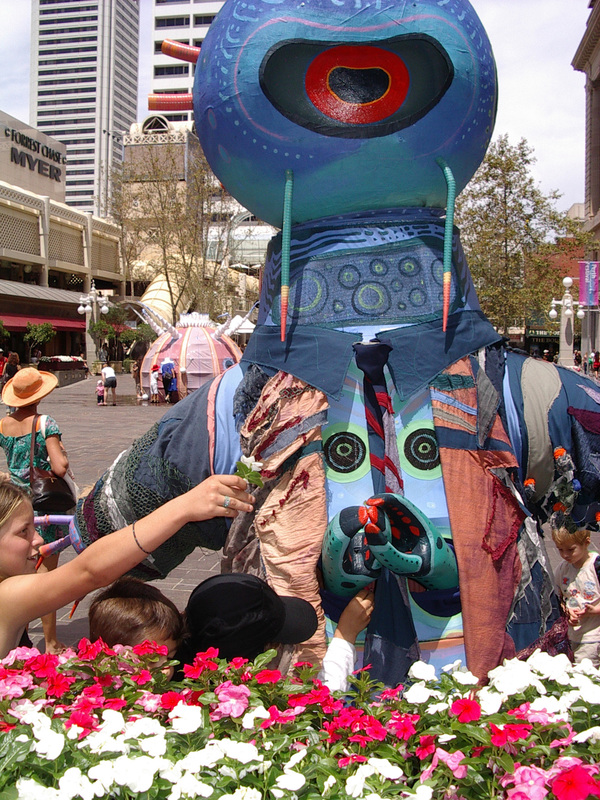 Since then it has been performed at various festivals and events throughout Western Australia including the Open Day of Perth Arena, November 2012. Access to a water tap and an electrical outlet.